Twyla Sue Walker Lauber, 77, went to join her beloved husband Joe on April 29. Charles F. Hutchens Jr, 66, of Leavenworth, passed away on Saturday, May 5, 2018 at his residence. Ruby Crank, 87, Tonganoxie, died May 5, 2018. Rosemary Cornforth, 88, of Leavenworth, died, Sunday, May 6, 2018, at her home. Betty J. McCormick, 88, a resident of Elmhaven nursing home, died there at 3:50 a.m. Sunday, May 6, 2018. CANEY — Mildred E. “Eileen” Leap, 73, of Caney passed away at 7:22 p.m. Sunday, May 6, 2018, at her home. Survivors include her husband, David Leap of the home. 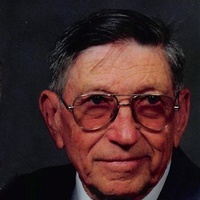 ERIE — Ralph Edward Janssen, 96, of Erie passed away at 6:05 p.m. Friday, May 4, 2018, at Neosho Memorial Regional Medical Center, Chanute. He was preceded in death by his wife, Dicy Janssen, on Aug.
Katherine “Katie” Towle Glynn, 91, formerly of Wamego, KS, died Thursday, May 3, at the Healthcare Resort of Topeka. Jaclan K. Lanham, 76, passed away May 4, 2018, at McPherson Hospital. Arrangements are pending with Stockham Family Funeral Home. Shirley “Pat” Jordan, 78, of McPherson, passed away May 4, 2018, at Pleasant View Home in Inman. Arrangements are pending with Stockham Family Funeral Home. View The Obituary For Rex Walter Turner of Augusta, Kansas. Please join us in Loving, Sharing and Memorializing Rex Walter Turner on this permanent online memorial presented by Dunsford Funeral Home and Crematory. View The Obituary For Bonnie Lou Mehrer of Larned, Kansas. Please join us in Loving, Sharing and Memorializing Bonnie Lou Mehrer on this permanent online memorial presented by Beckwith Services & Monuments.